This workshop provides better understanding of ISO 9001:2015 requirements, practical tips, examples and guidelines that will help you with the transition of your QMS to the new version of the Standard. The Workshop consists of a series of lessons, interactive exercises, and quizzes. Better understand the ISO 9001:2015 Requirements and use this knowledge in the Staff and Internal Auditors training. 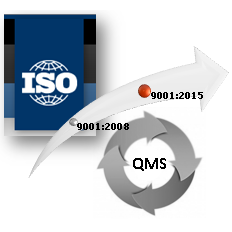 Learn how to transfer your Organization’s QMS to the new version of ISO 9001:2015 without using 3rd party's help. Save money on consultants!